An hour ago, I turned in my last final and sprinted out of the classroom. I am officially DONE with undergrad! Heather winning the Archimedes Circle Award as well as the Biomedical Engineering Department Award. What a smart roommate! 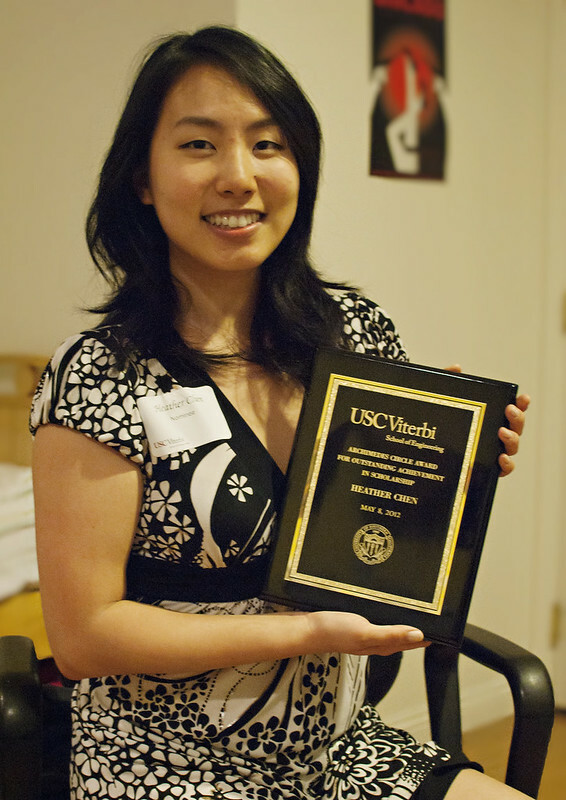 In other news, my roommate was awarded the Viterbi Valedictorian prize last night. I'm so proud of her. I can't believe I'm sharing the room with a valedictorian. Too bad my graduation ceremony is taking place at the same time as the Viterbi graduation ceremony so I won't be able to listen to her speech live.